What you are seeing in the above picture is not a designer sofa. It is just a plastic chair with some clothes on it. 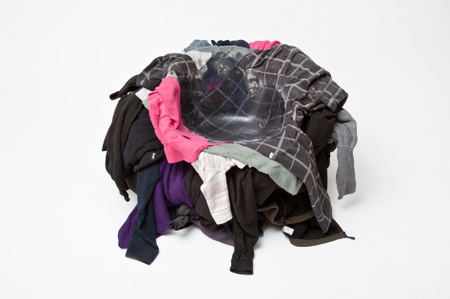 All of us have this plastic chair in our house; where we dump all our clothes. I have a plastic chair at home too where I dump all my clothes. In fact the chair will have both clean clothes and clothes laden with dirt. I find it hard to differentiate between the clean ones and the dirty ones. 5. They are cheap compared to other forms of furniture. 6. They are waterproof too. But there is a danger of using plastic chairs. You can't fart silently in a plastic chair. It produces a whistling sound. You will be easily caught. So if you feel like farting, get out of your chair, walk around, let out a silent fart and then come back and sit.